Celebrate an Italian Themed New Year’s Eve at Buckhorn! Join us in an early celebration of the Italian Carnevale to bring in the 2016 year. Carnevale in Italy is a huge winter festival celebrated with parades, masquerade balls, entertainment, music, and parties. Children throw confetti at each other but our adult guests may enjoy doing the same! Mischief and pranks are also common during Carnevale, hence the saying A Carnevale Ogni Scherzo Vale, anything goes at carnival. Carnevale has roots in pagan festivals and traditions and as is often the case with traditional festivals which have been adapted to fit into the Catholic ritual of Lent. Masks, maschere, are an important part of the carnevale festival. People also wear elaborate costumes for the festival and there are costume or masquerade balls. 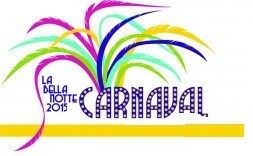 Food, always central in Italian life, is of major importance at Carnevale and so in our celebration at New Year’s Eve. Our six course table d’hôte offering will delight the palate. This course will be served to guests as they gather in the dining room before the official start of dinner. Olives, nuts, cheese, sauce dips, and little fritters will be accompanied by complimentary champagne. Music Pea Picking Hearts will provide music for listening and dancing throughout the evening. Dress Fancy dress on New Year’s Eve gives the evening a special sparkle. Costumes are not required but are welcome. Masks are provided. 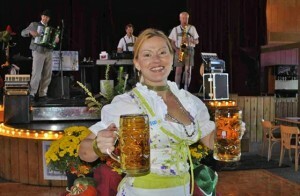 OktOBERfest returns to its Gatlinburg-style roots with 38 days of merrymaking from September 25 through Nov.1, 2015 as the resort commemorates the 205th anniversary of the popular festival held in Munich, Germany. The first Oktoberfest was not really a festival at all, but the public celebration of the wedding of Crown Prince Ludwig I and Princess Therese of Bavaria on October 17, 1810. Held on a large meadow named the Theresienwiese in Munich, the party featured a horse race, beer, food, music and dancing. Anniversary celebrations continues each year, usually starting in late September and ending in the first week of October, with some six million people attending annually.